Saharanpur: Internet shut, All you ned to know. Saharanpur: Internet shut, section 144 imposed as administration battles to bring back normalcy. An uneasy calm prevails in strife-torn Saharanpur as the administration faces the challenging task of bringing back normalcy in this western Uttar Pradesh town. Saharanpur as been witnessing caste-based violence since late April. The situation got worse after a Dalit man was killed and several injured in violence on Tuesday. The Yogi Adityanath government transferred the DM and SSP of Saharanpur for failing to the check the clashes between Dalits and Thakurs. JK Sahai, Deputy Inspector General of Saharanpur, was also transferred on Wednesday evening. 1. The administration has imposed Section 144 in Saharanpur to prevent any untoward incident. Internet services have also been blocked to deny rumor mongers any chance of vitiating the atmosphere further. 2. The condition of the person who was shot at on Wednesday remains critical. The police have registered a FIR against unknown persons in this case. 3. 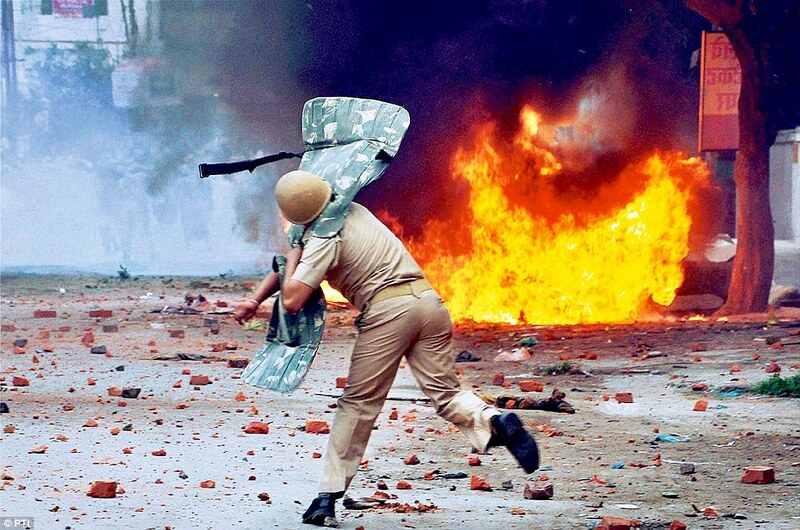 Muzaffarnagar SP has been given additional charge of Saharanpur after the Yogi government removed Saharanpur SSP Subhash Chandra Dubey and District Magistrate (DM) N P Singh over the inability to control violence following fresh clashes in the area. 4. A man was shot at on Wednesday even as Home Secretary Mani Prasad Mishra, who visited the worst-hit Shabbirpur village, said that the situation in the area was tense but under control. 5. Shabbirpur is home to around 600 Dalits and over 900 Thakurs. 6. Some unidentified persons had set fire 12 houses of Thakurs in Shabbirpur ahead of the arrival of Bahujan Samaj Party (BSP) chief Mayawati on Tuesday. 7. A mob later attacked a group of people returning from a rally of Mayawati, killing one Ashish (24), who hailed from Sarsawa town, on the spot and injuring four others. 8. Uttar Pradesh Chief Minister Yogi Adityanath said strong action is being taken against all those responsible for the violence in Saharanpur and appealed for calm, saying people should not pay heed to inflammatory speeches and help maintain peace and order. 9. Some elements are not able to digest the good work being done by the state government and trying to disturb the atmosphere, an official release quoting the chief minister said. 10. Saharanpur has been on the boil since April 20 when some BJP workers and Muslims clashed over a Dalit rally to mark Ambedkar Jayanti. On May 5, a Thakur rally commemorating Maharana Pratap sparked off violence as it passed through a Dalit neighborhood in the village of Shabbirpur.